No breast implant is permanent. Eventually, with time, the shell or other parts of the implant will break down resulting in an implant leak. When this happens is not known. Rarely, the leak can occur early (I have had one patient at 18 months after surgery). For most patients, it will take many years before the implant fails. Mentor and Allergan are the only FDA approved breast implant manufacturing companies in the United States. The good news is both companies have a life time warranty if the implant should fail or leak. This means if your breast implants should leak at any time, the company will replace the implant(s) free of charge. Both companies also have a limited payment policy towards covering some or all the cost of the surgery. Up to ten years from the time of implantation, both companies will pay a certain amount towards your surgery. More information can be obtained through each company web-site. The ten year time period, at least in my opinion, means the risk of implant failure is low enough that the company is willing to accept the risk and pay a portion towards the surgery. 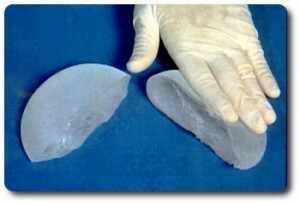 This does not mean all breast implants are going to leak right after the 10 year period! With newer generation breast implants currently in the market, these implants last longer than older ones. How do you know if your implant has leaked? In case of saline breast implants, the leaked saline (salt water) will be absorbed by the body. The patient can see and feel the difference in the affected breast. With silicone breast implant, the leak may not be detectable, since silicone is not absorbed by the body. Silicone is not dangerous and no study has found a link between silicone implants and disease process. Currently, the gold standard for detecting a leak for silicone breast implant is an MRI. The FDA has recommended all patients with silicone breast implants have an MRI three years after surgery and every two years after the initial MRI. It is up to the patient to follow this protocol and is not mandatory.